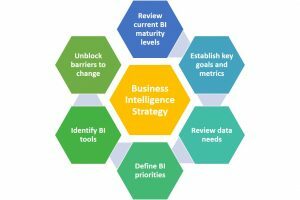 Why your Business Intelligence (BI) Project will fail! It’s a well-known fact that approx. 70 – 80% of BI projects will fail. Why? There are many reasons for that, namely 1) lack of planning; 2) lack of understanding of technology; 3) teams not having the right skills and resources etc. These are fundamental issues that have been plaguing many a BI project, however, through experience and observation – the biggest reason (in my opinion) is the fact that companies have little or lack of a data strategy. In which areas, they want to demonstrate some form of return i.e. marketing ROI etc. What kind of tools and technologies will support it moving forward? What kind of resources are required to support the implementation and ongoing evolution? How over a certain amount of time the strategy will be implemented – a roadmap. Now in all fairness that’s a long list of areas that need to be covered and of course as its title is described this is a “strategy”, so not a long lengthy document the size of the USA! No, a high-level starter for 10 that allows, you to guide and steer the ship on the course that you have selected. When you start to deviate from that course, you can go back to the strategy and remember why you were on that course, and correct it to ensure that you have not deviated too far and won’t be headed for the iceberg of despair! So why is it that companies don’t necessarily get this bit right? Okay so you might be thinking that the above points are a little flippant, however, these are real situations that I have had the opportunity to influence and turnaround. The only way to divert these types of situations happening and embracing a data strategy, in my opinion is to start mapping out the success criteria. Be benefits and value focused and ensure that the business case provides a window into each. Now some companies struggle with this and tend to go for more of the soft benefits i.e. all data in the same place and accessible. Benefits where they can, must aim for a savings or revenue generating view – at least it gives something to aspire to and to measure when working out what you want to achieve. Your stakeholders are going to be your biggest supporters and getting them on board is critical. Recently, we worked with a company where they were in the “cynical” mode and were burnt by a previous consultancy, because they hadn’t engaged the right stakeholders. When we took over we mandated we work with the top two executives and that drove the right behaviours to get to the final optimum solution. Working in an Agile manner makes a huge difference! Because, in the example above, the executives could see from “requirement to dashboard in a week or two (sometimes less), and could provide the necessary feedback loop very quickly! Making it more tangible for stakeholders to be embedded in the process, and feeling they are in a more collaborative process rather than waiting months to see the output. One of my favourites is “think big, start small” – the idea of baby steps and not putting your Asics trainers on to try and beat the leader. It won’t work! Never does! Small baby steps ensure that people aren’t overwhelmed in the process, makes it easier to see the size of the prize, and ensure change is embedded carefully in iterations and not one big bang! That last point is obviously very important. Having a change management methodology is often overlooked in these situations. In my humble opinion having a separate work stream of business folks working alongside to understand how the system will be scaled, where it might be piloted, who are going to be the first users, which communications need to go out, what the stakeholder landscape looks like etc. is vitally important. Mainly as data touches everyone in an organisation and getting it wrong can cost a huge amount of effort and of course money to fix it! My penultimate point in this list is about data governance – a big topic often overlooked as it’s seen as too complicated and costly. Don’t make it so! Every company who wants to be a data-driven one needs to think carefully about how they begin the journey of data governance. It’s not something that needs to be in place before you do anything data related, it’s an activity that can run in parallel and make sure it’s focus is kept by a small core team that can find the right stewards, create the right processes and procedures to ensure data success. Maybe, I will write a separate article just on data governance as it truly deserves one. In my final point, it’s important to ensure that you have the right standards and methodologies in place for getting requirements, developing any software, testing said software and deploying out to the business. The key to getting it right is to ensure that whatever you use as a method, ratify it with the stakeholders and ensure they understand and have the capacity to deal with something that may need more of their time. That will also lead to successful planning and ensuring that your stakeholders are bought into the approach from day one! 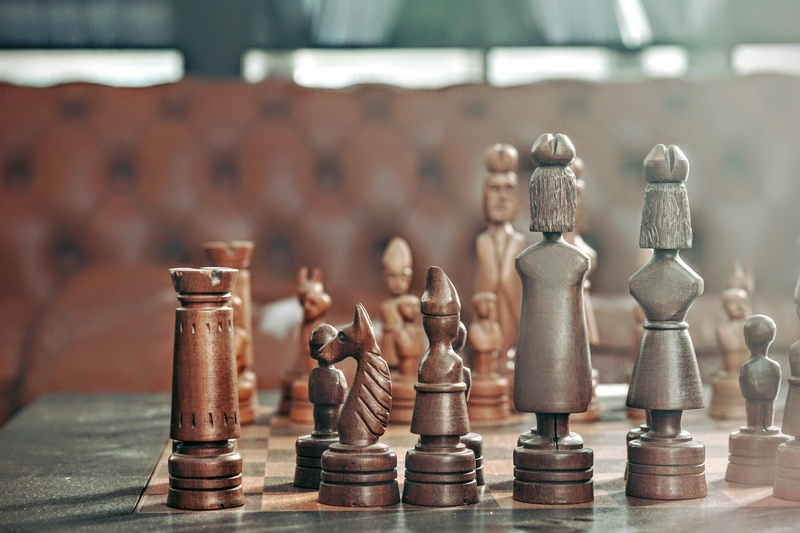 Any data strategy that is created in my opinion is always a living breathing document that is constantly referred to, updated, refined and aligned with the business strategy. If the business strategy moves, the data strategy needs to take a good look at itself and make changes where necessary. You shouldn’t need to reinvent the strategy every single time, it’s there as a true north guide. Don’t leave it on a shelf somewhere and forget it. I can’t stress the importance of actively benchmarking against it. Continually remind yourself that they success of any project is communication of activities, when they are happening, who they affect and how much time is needed from the user community. It’s imperative to have a solid change management process in place and not doing so will sadly result in definite failure. Make sure data governance isn’t an afterthought and start with where you want to get to, having a roadmap in place makes it easier to navigate the waters and ensure you are going through the right channels. Baby steps are a must and don’t rush into anything too fast and hard, always be flexible (or agile) in your thinking, and ensure that when you need to pivot, you can do so very quickly without it costing a lot of time and money. Finally, I know I haven’t spoken about it that much, but planning is a factor in all of this. Get your plans realistic and in sync with each of the work streams of activity. What do I mean by that? Plan so you know when you will have data available to you and build accordingly – don’t build without knowing when the data will be available. That will scupper your project and cost it a lot of money. If you can prioritise your buckets of work in say 3 priorities such as, 1) data we have and can build to, 2) data that will be coming soon (maybe due to an interface being delivered), and 3) data that will need to be created (perhaps by the implementation of a new system). PS Good luck as you embark on your data-driven strategy, it’s got to cut across the enterprise and is for the whole of the organisation. So, don’t call it a digital data strategy or a marketing data strategy, call it YOUR data strategy and include all the initiatives in it. 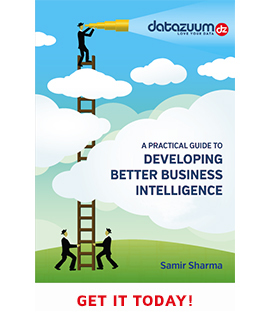 If you’re working on a data project, and you think it’s relevant and valuable to pick my brain, please get in touch by email samir@datazuum.com or call on +44 (0) 845 056 8753.